The main courtyard of North College. DBOX for Robert A. M. Stern Architects. 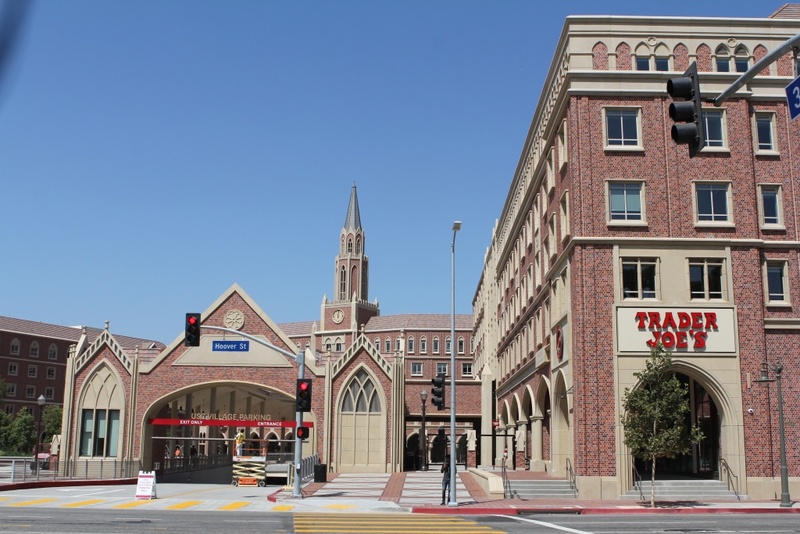 When expanding, most university campuses follow the strategy of replicating the already established style of the existing architecture. 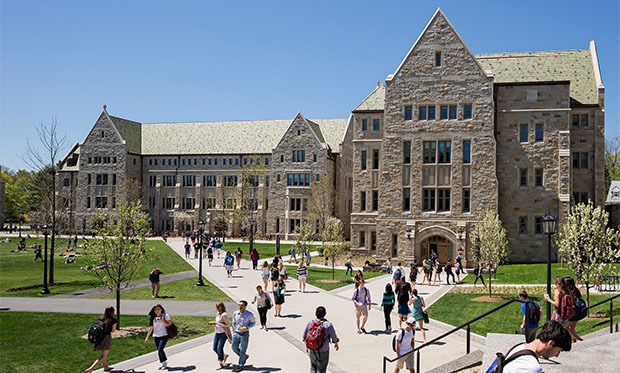 Working on Yale's new residential colleges, A. M. Stern and his partner on the project, Melissa DelVecchio, are, too, striving to not stand apart physically or architecturally from the context in their design. Blair Kamin of the Chicago Tribune reports on the university's recent campus additions,"...Stern's traditionalist architecture, which is draped like a Ralph Lauren suit over an underlying frame of steel and concrete, is uneven in quality, wavering between self-assured reinterpretation and over-the-top eclecticism. It all feels like Yale: Monumental scale in the sky, human scale at ground level, the former not overwhelming the latter. The Gothic language, with its malleable asymmetry, was better suited to this site than the formal Georgian vocabulary of other Yale colleges. But even colleges as sizable as Murray and Franklin cannot replicate the exquisite ensemble of Rogers-designed colleges and other buildings, like the Sterling Memorial Library, that form the university's heart. An out-of-the-way location is an out-of-the-way location, no matter its style. And Stern's treatment of the Gothic is a very mixed bag. Boston College does the collegiate gothic thingy much better.